This is a Medium “Flickering Lone Star” quilt block with a Oak background. 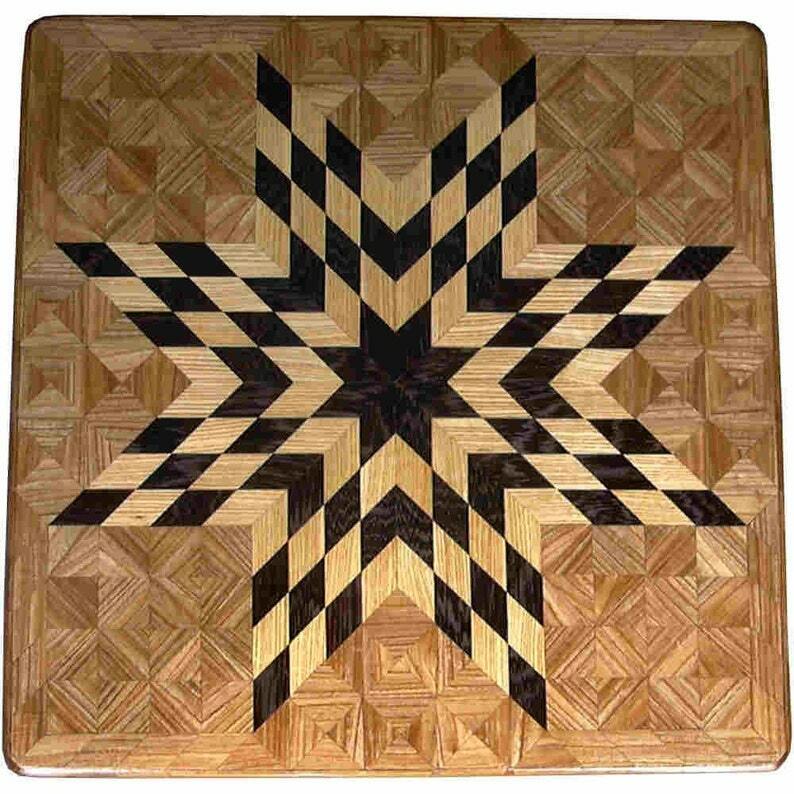 It is made using diamonds and triangles from different kinds of wood, all in their natural colors. There are 468 pieces on this block, 192 diamonds and 264 triangles, all full size. It measures 16 ½” square and is 5/8” thick. To finish them, I use 5 or 6 coats of a clear wiping varnish, rubbed in by hand. The type of wood is listed on the back from the center out. On this quilt block the wood is “Wenge” from West Africa, “Ash” and “Oak” from Missouri.